To request a password fill out form below and click the "Mail Password" button. We'll email it to you immediately. It's always a good idea to write down your password and keep it somewhere safe. Entirely unique and designed specifically for businesses operating in the automotive logistics sectors, companies are benefiting from the most complete, robust and scalable system available anywhere in the world today. 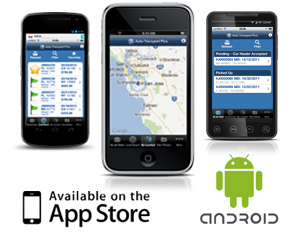 "New to the system but love all the tools and features available through the mobile application. Knowing instantly when the status is updated in the field makes managing each load very easy, love the tracking system." "Thanks Dan, I will tell you that we rely completely on your system now. It has allowed us to more than double our production and sales in the past few months, we have already added on 1 new person and are looking for 2 more in the coming month. And I personally appreciate how helpful everyone has been, especially Alex..."